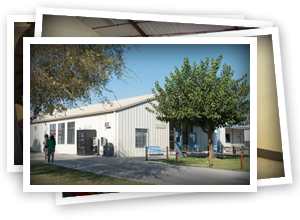 Providing food and shelter is where we begin at the Bakersfield Homeless Center. Providing the tools and skills to maintain and enhance homeless prevention and self-sufficiency is the desired result. Many people experiencing homelessness lack the relationships in our community to successfully transition from homeless to independent living. That’s where Aftercare comes in. With the goal of creating a healthy Bakersfield community including people from all socio, ethnic, and economic backgrounds, we advocate for and assist our families as they develop strategies for self- sufficiency. After the successful completion of BHC program, our families and single residents work with Case Managers to develop a plan to furnish their new home or apartment, meet important Agency support personnel, get job referrals and set up childcare if needed. The program also offers valuable classes in budgeting, life skills and health wellness. We are very proud of the results of our Aftercare program. We do welcome our Aftercare participants back to the Center often for holiday meals and special events and clothing and other family-related giveaways.